No bake protein pumpkin chocolate chip energy balls – filled with pumpkin, pumpkin spice, collagen, dates, and nut butter for a quick and healthy festive treat! It’s officially October and it’s my first pumpkin recipe of the season! And it’s super easy, protein packed energy ball! WOOT WOOT! Not going to lie, I feel like I’ve been making pumpkin recipes nonstop since the beginning of September. I’m not a ‘go get a pumpkin spice latte on September 1st’ type of person, but I do really enjoy pumpkin once fall hits. I think it’s a great addition to smoothies, desserts, no-bake treats, and even savory dishes. 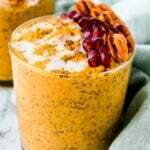 The best part is, pumpkin is really a nutrient dense veggie! 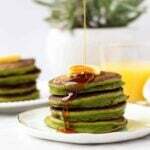 It is low on calories and carbs and packed with vitamin C, potassium, and fiber. Since I hadn’t made an energy ball for awhile on the blog, I figured a pumpkin one would be perfect. And a great addition to pumpkin is chocolate chips! Along with some nut butter, dates, and spices, you have the perfect nutrient packed pumpkin chocolate chip energy ball. 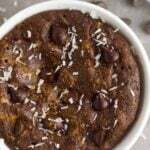 PS – if you like pumpkin and chocolate chip and you haven’t tried these pumpkin chocolate chip protein muffins, they should be next on your list! These pumpkin protein energy balls come together in about 5 minutes, are no bake, and are super easy to make. All you need is a food processor and handful of ingredients. Let’s break down what you need and how to do it. The process in making no bake energy balls is super easy. First, I like to break up the dates in the food processor. Then you add the remaining ingredients (except the chocolate chips) and let it come into large ball of dough. Then you mix in the chocolate chips and form into balls. 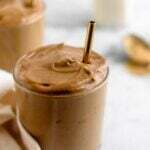 If you don’t like or use collagen, you can try to substitute another protein powder of your choice. Or you can leave it out and add a little more coconut flour. To store them, keep them in the fridge or freezer. The will last 2-3 weeks in the fridge and a few months in the freezer. Energy balls actually taste really good right of the freezer too! These protein pumpkin chocolate chip energy balls make a great snack, healthy sweet treat, or meal prep option. I also love them for a pre or post workout snack. They are super easy to pack in your bag and bring on the go. Make them on Sunday for meal prep and you will be set for the week. If you need some more energy ball ideas, I got ya covered! No bake protein pumpkin chocolate chip energy balls - filled with pumpkin, pumpkin spice, collagen, dates, and nut butter for a quick and healthy festive treat! Place the dates in a food processor or high speed blender and pulse a few times until broken down into pieces. Add remaining ingredients, except chocolate chips, and blend until smooth and a ball of "dough" forms. Break up the dough and roll in chocolate chips. Form into equal size balls and refrigerate for 5-10 minutes until chilled. Store in the fridge or freezer and enjoy! I love this recipe! 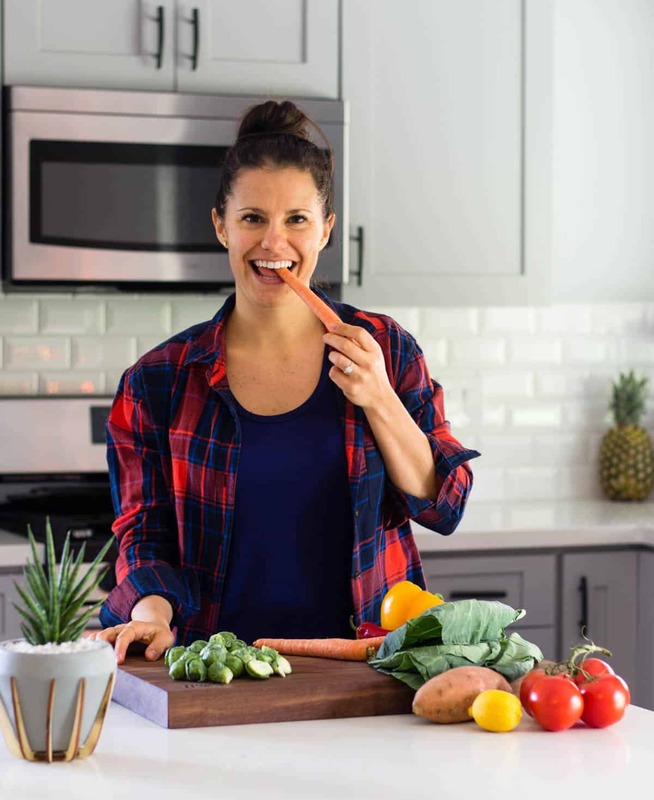 Thank Kelly for all these yummy, healthy, easy recipes! Happy to share them with you Terri!! Would love to make these, but how big are your scoops of collagen? My collagen does not come with a scoop, so I have no idea how much you’re using in this recipe . . . Thanks! Hi Linda! One scoop is about a heaping tablespoon or 10 grams. Hope that helps!